The issue arose when a ship belonging to an international oil trading company by the name of Trafigura deliberately dumped toxic waste off the Ivory Coast. Thousands of local people were affected, a number dying in consequence of the resulting pollution. This loathsome company originally claimed that the wastes was non-toxic, knowing full well that it was. After years of stalling and legal threats it eventually agrred to pay compensation to over thirty-one thousand people. In an attempt at ‘reputation management’ Trafigura employed a firm of London solicitors by the name of Carter-Ruck, specialists in the law of lible. These people immediately started to throw their weight around, going to the high court to get an injunction preventing The Guardian from further reporting on the Ivory Coast story. But this was no ordinary injunction; this was a ‘super-injunction’, the law not being done or seen to be done, but the law in secret preventing reporting of a secret, preventing reporting of itself in action. Lost? Yes, I know; not even Kafka could make this up. Worse than that, when the Labour MP Paul Farrelly raised a question over super injunctions with Jack Straw, the Justice Secretary, the paper was even prevented from reporting that. 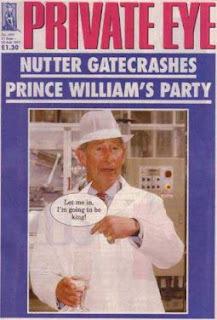 Private Eye, which Hislop edits, took the bold step of highlighting the issue anyway in cryptic language designed to intrigue. Bloggers caught on and the whole thing exploded, a fantastic own goal by Carter-Ruck, now referred to in the latest issue of the satirical magazine by another name altogether. Can you guess what? :-)) No matter, instead of ‘managing’ their client’s reputation they have exposed a story that might otherwise have escaped scrutiny. But there is more here. This whole process, the revelation that judges are willing to grant secret injunctions has uncovered a serious threat to not just to press freedom but to the proper operation of parliamentary democracy itself. Secret injunctions take us back to the days of John Wilkes, to the days of ‘Wilkes and Liberty’, when those reporting the business of Parliament could be imprisoned. Looking at it from a historical perspective it may be even worse; for the super injunction might very well be in breach of the 1689 Bill of Rights, one of the great milestones of English constitutional history. Carter-Ruck have got a real nerve. Firstly they tried and failed to suppress news that they had obtained a gagging order against the Guardian. Then they tried to ask the Speaker to gag parliament itself. This affair has shown that privileges preventing press freedom are sometimes as only as strong as their assertion. The Speaker and parliament must stand up to people like Carter-Ruck who aggressively encroach on these freedoms. In past years, people who sought to gag parliament or were held to have behaved inappropriately in relation to parliament were brought before the Bar of the House and in some cases sent to prison. Do we not need to see Carter-Ruck’s partners before the Bar of the House to apologise publicly for this attempt to suborn parliamentary democracy? Peter Bottomley, the Tory Mp, said that the order should never have been granted and that he intends to report Carter-Ruck to the Law Society. The Lord Chief Justice himself has turned on super injunctions and the attempt to restrict freedom of expression in Parliament, which he described as a fundamental principle. One can only hope that this will give some of the cowardly judges a little more backbone when faced with such invidious requests in future from the Carter-Rucks of this world. In response Adam Tudor, a partner in the said firm, issued a press release saying that neither his company nor Trafigura had attempted to stifle or restrict debate in Parliament or the reporting of debate, another lie exposed by Private Eye. 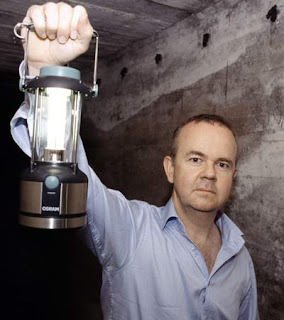 Ian Hislop and Liberty! Not much super about those injunctions! Yeah, I've not been keeping records but for in my head, but these gagging orders were papers can't even admit to having gagging orders on them have a history of at least as far back as a decade, probably longer, as they never saw us (the internet) coming! Found your blog while researching Trebitsch Lincoln. Thanks, Andy, and welcome. :-) I first wrote that piece on Lincoln, a fantastically grotesque character, for the Wikipedia reference desk. Never Fall in Love with a Royal!